Destiny 2: The Curse of Osiris – Is it a blessing or a curse? The latest piece of Destiny 2 content has now launched, and I’ve been hands on with it to see if Bungie have brought their A-game this time. 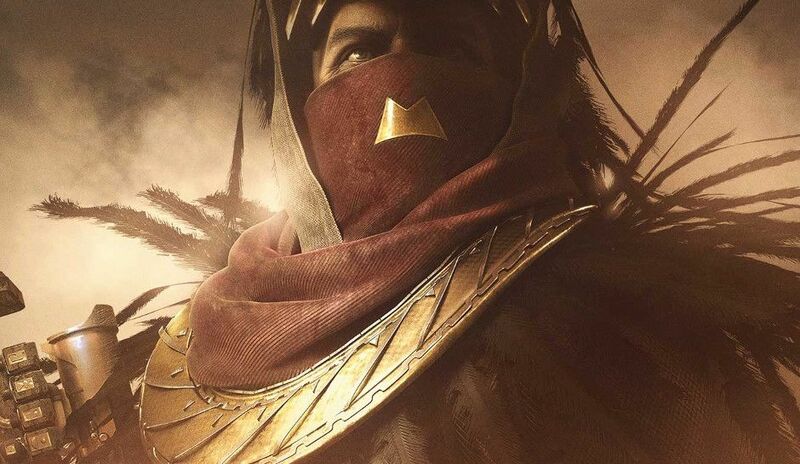 Entitled The Curse of Osiris, it deals with the re-emergence of Ikora Rey’s mentor, the Warlock Osiris. He was exiled from the City a very long time ago when his research began to take him in a heretical direction, and then disappeared from the face of the Universe. Well, now he’s back, and predictably trouble isn’t far behind. But having spent hours with the new content, is this expansion a new Rise of Iron, or is it more a House of Wolves? First off, the introduction video for the Curse of Osiris is jaw dropping. Showing Osiris emerging from the Infinite Forest – an enormous Vex machine – where every possible timeline can be played out and examined, he has to engage the Vex in combat, culminating in his Ghost, Sagira, being shot and thrown through an active Vex gate, while Osiris remains in the machine. Ikora Rey knows that something has happened, and our Guardians are dispatched to the planet of Mercury, a Vex transformed machine world. Now, obviously I’m not going to go in depth into the story, so please don’t worry about spoilers. So, I sat down hoping and praying that Bungie had found their feet with this DLC. Sadly, my hopes were to be dashed in this regard. The story, if you can call it that, was all over in a little under three hours and a handful of missions. And weirdly, for a DLC that bears the name of Osiris, he was in the story for around 10 minutes, including the pre and post story cutscenes. So far, so disappointing. After the completion of the story, three adventures are unlocked on Mercury, but these are a good length and involve the Infinite Forest. The Infinite Forest is a fascinating idea, with the ability to be at any time in the universe, and populated with the species that the Vex desire to test out any timelines they find interesting. In the first adventure, called The Up and Up, the Vex are experimenting with the Fallen, to see what would happen if they were the dominant life form left. Obviously, any data the Vex want is something that they should be denied, so we step into the simulation to chuck a large spanner in the works. Set in the future, the mission involves going through various levels in the machine, killing enemies as you go. Each level is inhabited by various low level enemies, and also by Vex simulated enemies called Demons. These Demons can take the form of various enemies, such as Hive Knights, but are stronger than the rest of the enemies. Killing all the Demons unlocks the exit door for the particular level you are on, and allows you to move on. A word of caution here: as you unlock the doors, the next level loads in a flash of white light. Don’t run through until the light has flashed, as it’s an instant death, despite the way looking clear. And yes, this happened to me a couple of times. So, having run through the levels and killed the boss, it’s on to the next adventure, and so on. Completing all three of the new adventures unlocks the Heroic mode. These follow the same layout as the non-Heroic versions, but with the difficulty ramped up to 11. The enemies hit harder, there are more of them, and in the final stage a timer is introduced. If you don’t complete things in the time limit (and it is pretty tight), the mission isn’t a failure, but there are apparently better rewards if you do beat the clock. These Heroic Adventures add a level of challenge to the DLC that the story was missing. This is actually a point I made to a friend as we played through the story – why are the story missions set at power level 250 when my characters were all at 305 before the DLC dropped? As a result, it’s not really very hard at all, and even the final boss was dropped without much of a whimper. Speaking of power levels, and levels in general, The Curse of Osiris has brought in a welcome boost. The highest power level is now 300 (335 with mods) and the overall level has been increased to 25. The end of the story saw my Titan at level 25, with the attendant bright engrams that that entails, and my power level is at 316; a significant increase. Obviously this has a knock on effect on the other end game activities, with the Flashpoints now being routine, and able to be completed in short order. Luckily, the rewards from the end game stuff have also increased, seeing Cayde giving my girl an engram at 315 when I handed in the mission, although the legendary engrams that are dropping seem to be coming in mostly around 305. As most of the gear my Titan is rocking is over 311, 305 engrams are a big ol’ kick in the teeth from Bungie. The last of the features comes in the form of Brother Vance and his tablets. Getting a tablet from him, and then completing Strikes, public events and Crucible events to receive the resources you need to unlock them, leads to an appointment with the weapon wheel on the wall of the Lighthouse. I haven’t managed to receive enough of the resources required to unlock the new weapons, so I can’t comment on whether they are any good or not, sadly. The same story applies the new Raid lair. So, all in all, it’s very much business as usual with The Curse of Osiris. Bungie have, and it pains me to say this, done the bare minimum to make this an expansion in name only. The increase in the light level is welcome, and the premise of the story is very promising, but the execution leaves a lot to be desired. More interaction with Osiris, maybe integration of the Infinite Forest into the public areas, with the potential for no two missions being the same, and more attention paid to the engram system and this could have been great. However, what we have here is Destiny 2’s Dark Below, without even a new Raid to take the edge off. Sadly this is not good enough to appease the concerns that the fans have had since the launch of Destiny 2. I guess all the hopes now lie with Expansion 2 next year, and the promise of more Rasputin. Time will tell if that expansion is enough. Previous articleFIFA 18 vs. PES 2018 – Which one should you buy?